DRUMMONDVILLE, QC – On Sunday the 3rd of July, Fazioli owners Ray Zhang and Isabelle Xin-Yi Wang competed in the final round of the CMC Music Competition, and placed 1st and 3rd respectively. 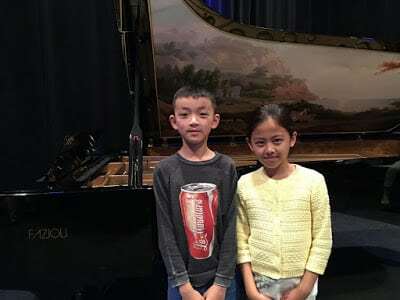 The two young pianists, that have 3 Fazioli pianos between the 2 of them, are delighted to be able to practice at home on Fazioli pianos, and feel the hand-made Italian piano gives them additional room for expression that they are not able to find in any other pianos. Both Ray and Isabelle study with Ms. Xiao, owner of the FaFan Piano Studio. Ms. Xiao is one of the most skilled teachers with young children, and is able to help students progress incredibly quickly.